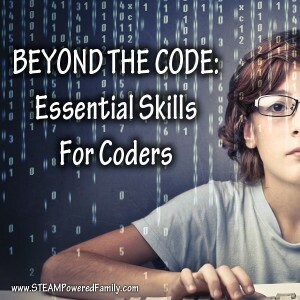 Do you teach your kids computer programming or coding? The power and benefits of learning a second (or third, or fourth) language is something that has been studied and proven many times, but there is another language that is becoming increasingly critical, and that’s the language of computers: programming. Like French or Spanish, computer programming comes in many variations or dialects, but an understanding of the basics around how computers talk can benefit anyone. And like any language, getting started when you’re young makes the whole process much easier. Imagine facing a problem and being able to solve it by creating your own program or app? Imagine that freedom and the ability to help others solve their similar problems with your creation. It’s possible and not as hard as you may think. Teaching programming may seem very intimidating to someone who has never done it or has a limited level of comfort with technology, but there are some amazing tools available to help your child (and you!) learn the art of computer talk. From learning the simple logic of if-then sequencing to full on game design, here are a few of our favourite ways to learn this powerful language. Links, including some affiliate links, have been provided for your convenience. Lightbot – We love this app! And by we, I mean me too. Solving the puzzles is fun and challenging. I started both boys on Lightbot Jr. After they completed it successfully they moved up to Lightbot. It is a super fun game to play and it teaches if/then sequencing, plus many programming concepts such as loops. Robot Turtles – This is a board game that requires a lot of parent involvement. I feel this is a big benefit, as it’s a game we can play as a family, but if you are looking for something you can give the kids and then let them go, this isn’t for you. The parent creates the problems that the child needs to solve. It’s fun and great for kids of all ages as the parent controls the complexity of the problems. Scratch – This was one of the first programs we used when we started learning about programming. The drag and drop interface is simple to use and the results a lot of fun. It’s also really helpful to browse through other people’s projects then look at the code to see how they achieved it. Khan Academy – Khan is always a great resource for learning. Their hour of code is a great introduction to programming and they offer more advanced classes for those looking to go further. Mindstorms – We LOVE Lego! Mindstorms is their robotics product that you program using your computer. When we were at Legoland, Jackson took their Mindstorms workshop which was a four step programming challenge. Jackson had to work out angles, degrees of turns, distances, and calculate force and gravity in order to solve the challenge. It was really fascinating to see how into the challenge Jackson was, and how successful he was at solving these complicated problems when they were presented in such a kid friendly way. We recently purchased our own Mindstorms kit and can’t wait to incorporate some at home challenges into our homeschool. Youth Digital – Youth Digital is an in-depth, very high production value, learning program. In fact, it is the highest quality homeschool program we have ever used. They offer a number of different courses. We took Minecraft Mod Design 1 last year and my kids can still sing the loop programming song. Justin, the host, is really entertaining and makes the whole thing fun and interesting. 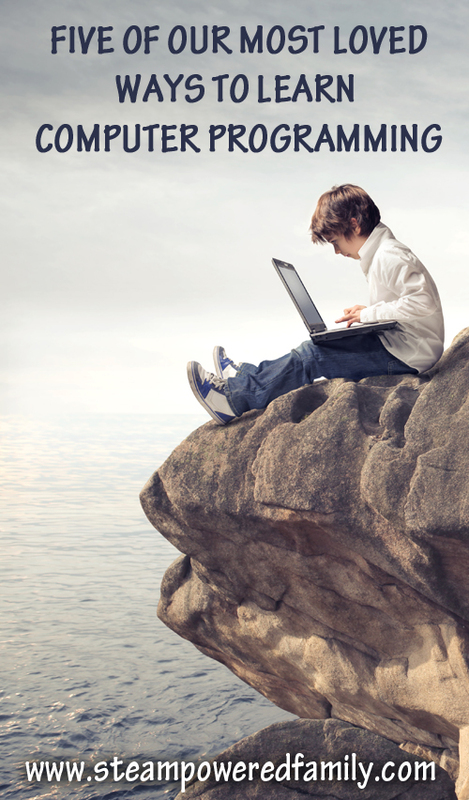 Youth Digital is excellent for the older child who is really motivated and driven to learn programming. It is intensive and covers everything from basic computer use commands, to graphic design to programming. Did I say it was intensive? It is! Plan on it taking many months, possibly up to a year, to complete a course. Children under 10 may also need parent assistance. There are many other learning programs available, but these are a few that we have tested and love. Do you have any favourite ways to learn programming? I would love to hear more! This is a great list! I’ve been looking for some good programs to start my kids on programming, and I am happy I found this list. My kids are 6 and 8, so do you think these would work for their age? Thanks so much! For younger kids I really like Lightbot and Robot Turtle, then Scratch is quite easy if they want to create little interactive projects. Your 8 year old might be ready for some of the other programs with some extra help, it depends on your child. In general I think Youth Digital and Mindstorms do best with closer to 10 years old and up. I had to help my 9 year old (early in his 8th year when we started) with Youth Digital, we essentially did the course together. I hope this helps. Let me know if I can answer any other questions.